In one of my earlier posts, I published a photo of a pair of pointe shoes that were marked on the sole with the maker name as Diamar. I mentioned wondering about the actual nationality of these models. You can see my post about them here at Diamar, under mystery brands. I made this post way back in July of 2010. However, things come to those wait. And research. And spend hours online. After almost two years, I finally found the Diamar company. The shoes are made in Argentina. The best place to gather information about any company is to read their “about” page. Although Diamar does not go into detail about the origins and history of their business, they state that they have been in business for over 50 years. The company has its home base in the city of Buenos Aires, Argentina. I have noticed that several international pointe shoe manufacturers categorize their models in two ways; a practice or studio shoe and another model for performances. In many instances, the shoes look exactly the same. 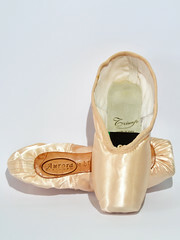 Navigating the official website, Diamar.com.ar, takes a few minutes because the site is completely in Spanish and the pointe shoes are located on an inner page. Click through the entrance page, go to Productos, choose calzados, then scroll to the bottom where you see siguiente. 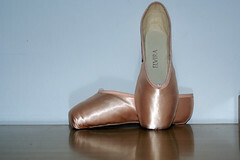 Click on that three times and you will come to the pointe shoes. Unfortunately, there is no information available on these models other than an opportunity to email Diamar directly for more details. After waiting almost two years to solve this puzzle, I am not going to complain. 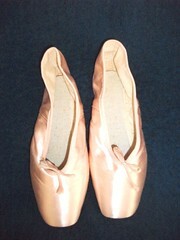 This entry was posted in Spanish Brands and tagged Diamar pointe shoes, pointe shoes made in Argentina. Bookmark the permalink. Hi, I am a regular follower of your site and love it.! I trained in classical ballet for 8 1/2 years, and danced professionally at the Moulin Rouge,Paris. 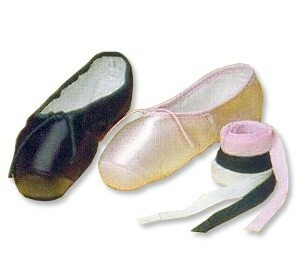 That was over 20 years ago and now i have a hobby of collecting different pointe shoes from all over the world. At the moment, i have 29 different brands of pointe shoes. My ambition is to one day have every brand of pointe shoe, and every style of each pointe shoe, EG Bloch Serenade, Suprima,Aspiration,etc. Even though i have 29 different brands, i have about 60 separate pairs of pointe shoes. Some are decorated, but i mainly buy brand new, never worn pointe shoes. I think they look beautiful. Plus, because they are un- worn, if i ever wanted to, i will be able to sell them on one day and make my money back.! It is a very expensive hobby; often the shoes are imported to the UK,where i live, from overseas. 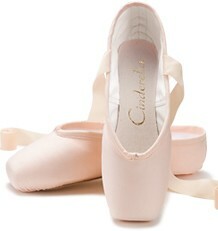 For instance, i have 4 different types of Russian Pointe at the moment; Entrada,Brio,Rubin and Celesta. 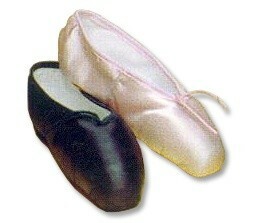 One day, i will have every type of Russian Pointe. But it takes time to buy , as they are so expensive.They had to be imported from a store in the US, so they cost a very lot of money. 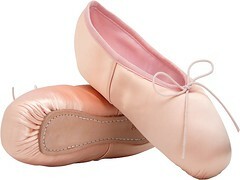 At the moment i have contacted a dance store in South Africa who are finding out the cost of sending me a pair of Teplov`s. Often, the cost of postage is more than the cost of the actual shoes, but once i have these shoes, i will have them forever, so for me, it is worth it. The brands i currently have are;Freed[every type],Bloch[almost every type],Gamba,Porselli,Sansha,Grishko,Gaynor Minden,Leo`s,Capezio,Chacott,Fuzi,So Danca/Cecilia Kerche,Baryshnikov,Dansgirl,.Russian Pointe,Capulet,Prima Soft,Cameo,Repetto,Merlet,Schactner,Suffolk,Inspire,Turning Pointe,Aloart,Domyos,Triunfo,Blanchet. Yes, that`s a lot, but i`ve a lot more to go to collect them all.!! Many thanks to this website, as it has given me information about makes of pointe shoes that i had never heard of before, so more to be able to add to my collection.!! Thank you, Piggybank40. It is a labor of love. 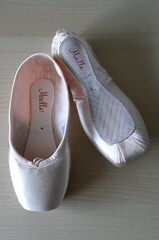 I agree that it takes a lot of time (and money) to buy pointe shoes for collecting. 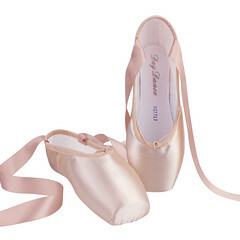 I am the other way around; I live in the U.S. and want pointe shoes from Europe, China, Japan, Africa, Australia and Russia. Sometimes the shipping fees are equal to the cost of the shoes. As it sounds, you have enough to open a small museum. 60 pairs….how wonderful!